Most everything in the gaming press about the Kingdom Hearts series is always prefaced with some quaint comment about the strange marriage of Square Enix's Final Fantasy universe and Disney's cartoon characters. It typically begins with some observation about no one believing that a marriage between the two companies could ever work and typically ends with something along the lines of "Who knew that putting Ariel and Cloud Strife in the same game could actually succeed?" The ubiquity of this kind of observation is staggeringly idiotic. Both Square Enix and Disney have mastered, if not myth-making then, the re-visioning of myths, folktales, fairy tales, and, more broadly, epics and romances. Disney's repackaging of fairy tales and legends by bringing classic characters into contemporary settings and the universal stories that they represent in compelling, animated character dramas has been going on for the better part of a century. The fact that they have done this may seem like a cheapening of myth and legend, but it can also be seen as an extension of traditional myth-making. The multiplicity of versions of a story like Cinderella or even the tale of Hercules make up part of the inscrutability and universality of myths, and Disney's versions just add to that tradition of retelling the same stories in new ways. Indeed, both the first Kingdom Hearts and its sequels are masterfully managed marriages of two narrative universes with the same goal: to tell an epic story in the language of contemporary culture in order to capture the magic and mystery of a place that is alien to us in its metaphysics, but familiar in its social roles, rules, and customs. Chiefly, the way in which Square Enix accomplishes this in these games is by tapping into our nostalgia and our familiarity with the source material. 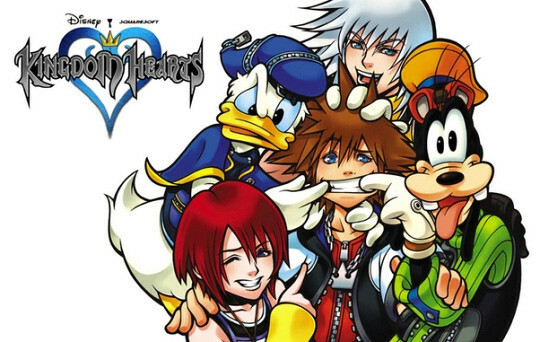 Like the first Kingdom Hearts, Kingdom Hearts II shapes its larger story"”the simple quest of a boy out to reunite with his lady love and friends"”around the contemporary "myths" of the Disney movie mythos. On his quest to find Kairi and Riku, Sora travels from world to world (worlds designed in homage to various Disney films like The Little Mermaid, The Lion King, Hercules, Aladdin, etc.) while battling enemies such as the Heartless and the Nobodies who seek to gain control of Kingdom Hearts "“ a power representative of the strengths (love and friendship) and weaknesses (anger and pain) of the human heart. There is little need for exposition in these microscopic versions of the Disney movies. They play out plot-wise like abridged versions of the films that they are based on, with the Little Mermaid struggling to free herself from her authoritarian father; Simba, the Lion King, attempting to live up to the virtues and memory of his father; and Hercules trying to prove himself a hero. We know these characters like we know their myths, through Disney's movies. So it is not necessary for us to worry over the details of plotting, but to merely play through the inevitable outcomes of stories about children growing up and heroes being made. Popular culture through Disney's animated films has educated us to these myths. Square Enix's job is simply to capture the mood, emotion, environments, and to match our sense of nostalgia with a game that meets our expectations"”expectations made universally accessible through the magic of the theatre and the replayability of DVDs. 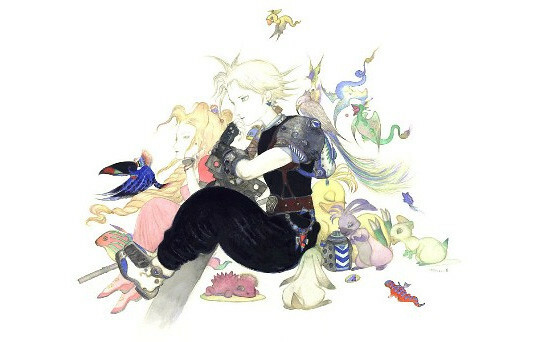 Elements of Square Enix's own mythology, the Final Fantasy series and its characters, similarly become sketches of larger stories familiar to those who intimately know the dozen or so games that comprise the series. The animosity between Final Fantasy VII's Cloud and Sephiroth is understood by players of the games, as is the tragic conclusion of that rivalry: the death of Aeris (or Aerith). Thus, as characters like Cloud and Aeris emerge throughout this tale, the game expects its player to recognize the context of its mythos and nostalgically continue to play through its tragic struggles and joyous victories. Therefore, the pleasure of playing Kingdom Hearts is truly bound up in a sense of nostalgia "“ be it for the romances of Disney and/or Square's past efforts. Gameplay remains fairly simple; a little button mashing during battles and character maintenance in-between will carry you through most of the challenges. These games are, however, games you play for the pleasure of recognizing their stories and characters. From one world to the next, the chief interest is in seeing how well the developers are able to recreate the mood, plot, and overall feeling of the films and games that we already know. For the most part, Square remains successful in accomplishing these goals by including levels based on the aforementioned films, as well as additional ones like Mulan and The Nightmare Before Christmas. However, the strongest world developed in the series is the black and white world of Disney's first feature starring Mickey Mouse, Steamboat Willie. 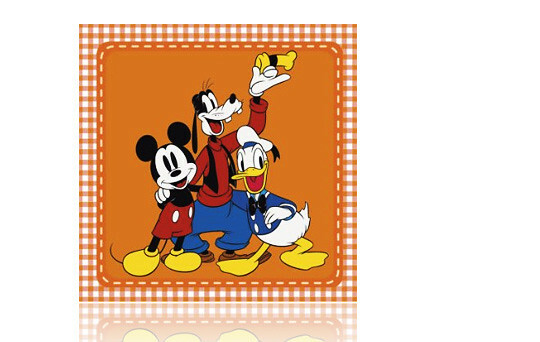 With characters appearing in a black and white landscape and "drawn" in retro cartoon fashion (including main character Sora and his companions Donald Duck and Goofy), the overall tone of the world captures the nostalgic influence of its source as well as its aesthetics. From the artistic style to the sound of a film reel running over the soundtrack, the level transports the player to the artistic space and time of the early cartoon perfectly. Such attention to detail and the effort to blend the graphical style of these games with the animated style of various worlds"”by transforming Sora and crew physically in some cases"”makes the rougher edges of fitting the two mediums together easy to swallow and even easier to enjoy. Sora's own character design has done this from the start; his highly stylized outfit is both reminiscent of Square's typical Final Fantasy design and, at the same time, similar to the design of a Disney cartoon"”with his red, black, and white duds and enormously bulbous shoes. In essence, the practices of re-imagining, re-engineering, and re-visioning seem to be the overall goals of the Kingdom Hearts series, and, so far, it accomplishes them at once both dramatically and aesthetically.